Whether you’re getting married or just planning a surprise for your partner topiary can be a long lasting, living, expression of love. And all other manner of superb sculptures can be conjured up for your special day. It will be eye-catching, distinctive and unique to the special relationship you share. 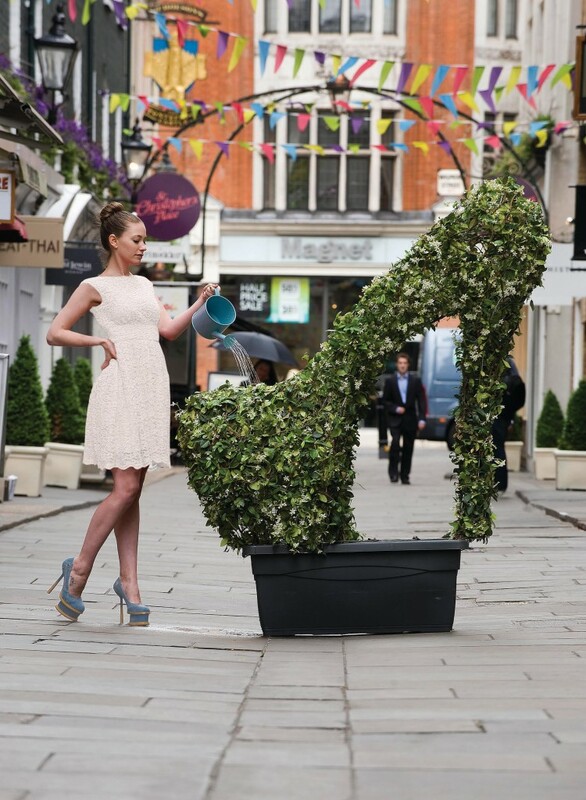 And after your event your topiary can live on in your home or garden as a permanent reminder of your perfect day – so it’s environmentally friendly too! Win a stunning topiary peacock like this one for your wedding! Click here to enter the prize draw. 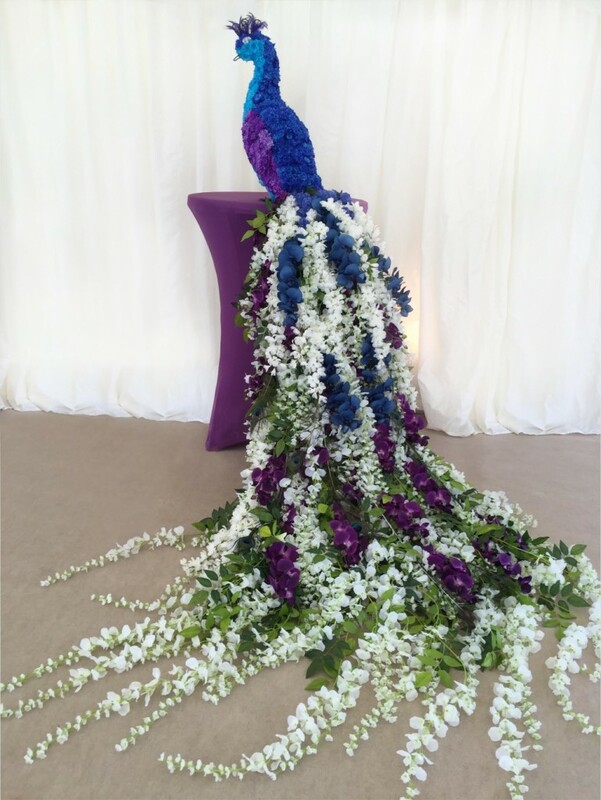 This beautiful wedding peacock was the result of collaboration between Agrumi and a talented local florist. We built the frame and the florist did the rest. The colours were chosen to compliment the bride and groom’s wedding clothes. The peacock is associated with fortune, compassion, kindness, and patience. It is an ideal symbol for couples embarking on a lifetime together. Or what could be more appropriate for a classic English wedding than topiary hearts placed by the altar, lining the aisle under planted with flowers matching the bride’s bouquet or surrounding the wedding breakfast table? Combine our expertise with your imagination. Together we’ll create designs to delight, surprise and inspire. 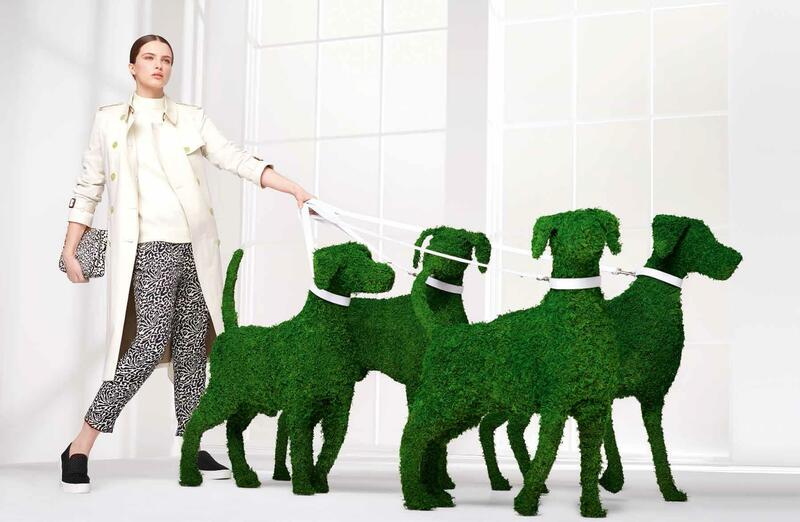 Animals, figures or objects – there is almost nothing we can’t make in topiary. From traditional hearts or entwined initials to exotic birds and fantasy characters – topiary can make your event look extraordinary. Where can I put topiary? By the altar, lining the aisle, surrounding the wedding breakfast table, in the grounds near your marquee. At the entrance to the registry office, by the registrar’s desk. Inside or outside your synagogue, temple or mosque, at your parent’s home. We can make topiary in any size or shape to suit your occasion. Agrumi Topiary Art is fabricated on metal frames covered in living or artificial plants and flowers or natural, dried moss (which can be dyed). We also have stock topiary figures and classic topiary shapes –including box balls, cones, spirals and lollipop bay trees – for sale or hire to dress your reception space. Star Jasmine, with its lovely fragrant white flowers, makes an exceptional plant of choice for any wedding decoration – a huge variety of other plants and flowers are of course possible as well. 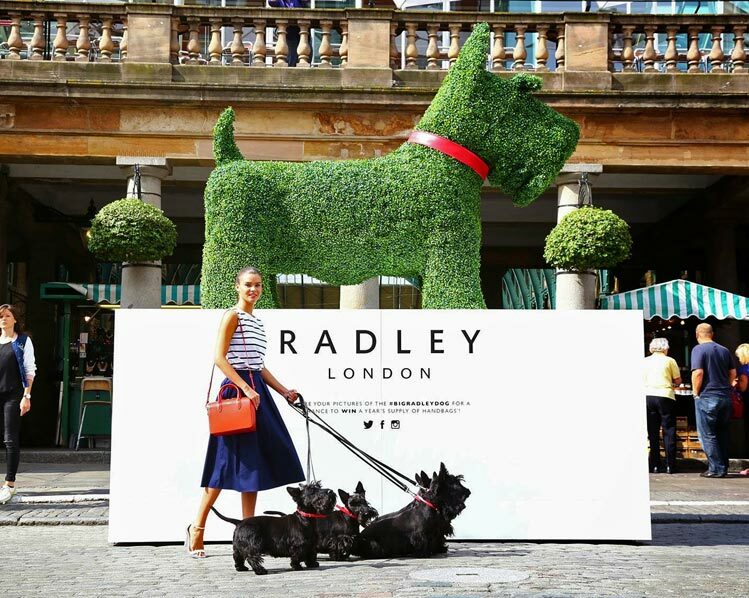 After the event, your personal topiary design can be planted in your garden as a memento of the occasion. 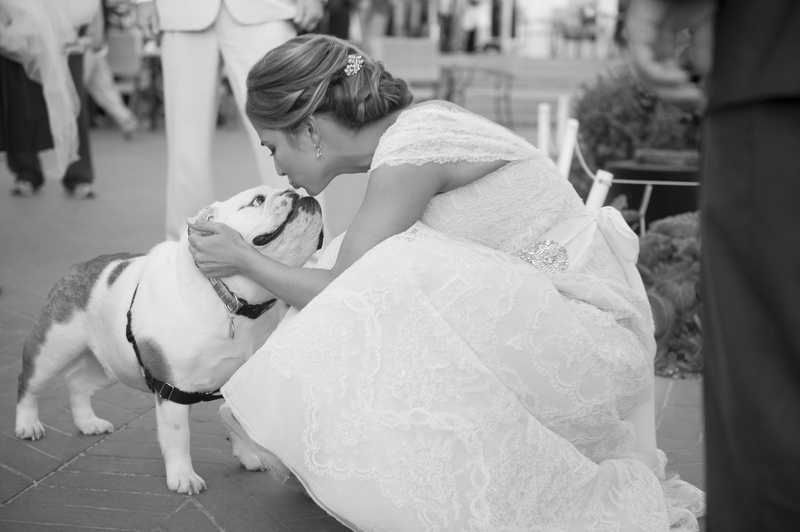 Your wedding can be made even more special with a touch of topiary. If you want to know more about how we can help you, get in touch with us today for a chat and a free no obligation estimate.